Joel Steckel is the Professor of Marketing and the Vice Dean for Doctoral Education at the Stern School of Business. He has served as an expert witness on dozens of matters involving confusion and secondary meaning, patent damages, deceptive advertising, and antitrust matters. He is the author of three books on market research and marketing strategy and over 30 articles in leading professional journals. 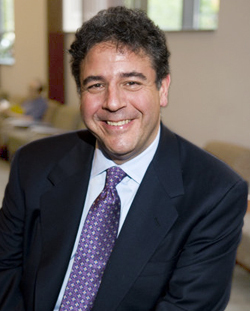 He is lead author of a 2006 article on dilution in The Trademark Reporter. Professor Steckel has taught at Columbia University, the University of Pennsylvania’s Wharton School of Business, the Yale School of Organization and Management, and UCLA. He has provided consulting to Fortune 500 companies on marketing strategy and customer relationship management. He is the founding president of the INFORMS Society on Marketing Science. He holds two master’s degrees and a Ph.D. in marketing and statistics from the Wharton School.